With RIM about to introduce BlackBerry 10 on Wednesday, along with the BlackBerry Z10 and BlackBerry X10, a new poll shows that while many Americans are impressed with what has leaked out about the new phones, only 1% plan on purchasing a new BlackBerry 10 phone immediately. YouGov spoke with 1,127 people who were read a list of the known features on the new BlackBerry handsets. Half found at least one new feature compelling and one in eight said that they would consider buying a BlackBerry 10 smartphone. 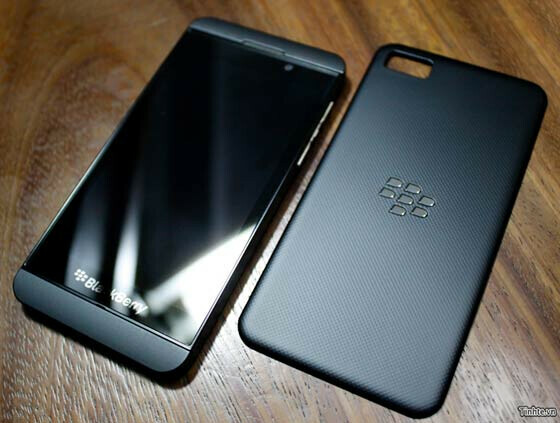 But when it came down to buying a BlackBerry 10 phone right away, only 1 in 100 said that they have "firm plans" to purchase a new BlackBerry 10 handset immediately. Joseph Farrell, executive vice president of operations at Bite-Interactive, the company that commissioned the poll, said that iOS and Android users have already invested time and money to learn the platform of their choice, which increases the challenge for RIM. Chief telecoms analyst at research firm Ovum, Jan Dawson, sees a brief surge in BlackBerry sales as current 'Berry owners upgrade to the new models. After that pop, the analyst sees sales flickering out. Dawson says about BlackBerry, "its glory days are past, and it is only a matter of time before it reaches a natural end." The bottom line, according to the analyst, is that the new phones will appeal to BlackBerry's current user base, which totals 80 million subscribers. But for others, the analyst says that there is nothing in the new platform that suggests that it will have the apps or ecosystem that smartphone users expect. The importance of having the apps that buyers want is repeated by Bite's Farrell who says that, "A lot of eyes will be on the new BlackBerry World from day one, as its success is pivotal to that of the BB10 devices as viable mainstream consumer handsets." Title notwithstanding, this article paints a pretty bleak picture for BB10 based on what these analysts have to say. There will always be opportunities, remember. If this goes well and people are impressed, the devices for the future will be targeted towards impressing even more poeple. The journey of a thousand miles, "starts with the first step". 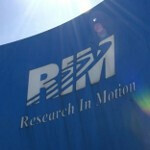 In the time it's taken RIM to take that first step, Android has run a marathon, and then flown to the moon and back. I'm sorry, I usually don't find myself saying things so... fanboyish... but really RIM hasn't done anything for over a year, a year which saw Android pioneer 720p AND 1080p screens, quad-core processors, phablets, and take over 70% of the world smartphone market. RIM will be considered wildly successful if it can even compete with Apple as far as market-share. While I agree for the most part...the Playbook was a big first step with a new OS version. The Playbook itself might didnt sell much....but it got RIM started with moving forward. I'm surprised the latest BB on phones before 10 didnt take off more. That even looked nice. I think its the hardware....ppl are moving away from physical keyboards. The design of their new all touch screen phone should win back former and new customers. And win back customers and new ones that like physical keyboards too. i really think you dont really need 1080p screen on a small device, on a 7",8"9"10" tablets yes you'll eed that!! but on a small screen (even though 5" and 6" are huge already, but still characterize as phones) you dont need that, you wont see the difference between smartphones with just qHD, HD or full HD on day to day basis! some users actually prefer the screen of 808 pureview(nHD) than whats on a s2(superAMOLED)! colors are acturate on 808 pureview... and you dont really need quadcore on phones especially that octacore that samsung is prepping! coz you dont really see the difference in day to day basis! it runs apps almost at the same time! but yeah, im sure in some point they need to adopt this since android manufacturers are making huge move with their devices! but actually BB10 can adopt this easily, its QNX versatility is the reason behind this! and RIM can just implement this... and you know it doesnt mean that it is their flagship if they announce it first, coz as far as i know 2013 is still far away from ending! and also there was this leak the RIM is prepping a quad core BB device later this year! so its not a complete loss! it might be a tough year, but RIM is adopting this! and besides those things you mentions are just hardwares, a little tweak on BB10, the RIM can have those as well! and besides its just just BB10 that is in the same position, also the WP coz of MSFT's restrictions! Analysts will always paint a bleak picture of anything as they want to be seen as "experts" who know what they are talking about. However, most of the time, these so-called experts are wrong. Devices are targeted towards poeple who want specific features matching their needs.Positioning also helps. A barrage of commercials coupled very good features and quality will always help the sale.RIM will start a slow march towards recovery if the device is good. Period. I don't care about armchair analysts. agree plus they only select the person who'll answer the question, its not the whole nation, you'll never kno that that person might be a bias or theyselect people with huge biases on these type of platform! um i'm a huge android fan but im still excited to see what the new bb10 has to offer innovation drives others to do more and work harder plus im very sure it a heck of a lot different that previous bb7 and older i think after some time people will be pretty happy given the showing tomorrow goes over smoothly but i will say this will bring old users and new but the old might not be as happy because they will try and reminice on the past just as old sidekick users did and that was an epic fail so i tell all my customers to just be patient and see if its something theyll like because its revamped. Thats ok....they are taking a wait n see approach. Thats expected with other good choices out there. I agree with the poll....cuz I like what I see so far. its because BB might have a hard time in the US market, so they need to market BB10 devices on the places that they are still on top! coz if a lot of buzz will happen to BB10 outside US, they;ll be push to buy or try one!